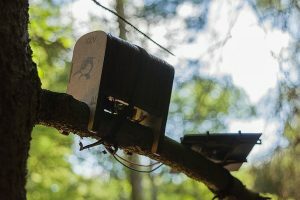 In Machine Wilderness, a research project started in 2015 in collaboration with Theun Karelse (FoAM), the audience explores together with artists, designers, ecologists, engineers and scientists, the role of technology in nature, now that technology has become a permanent and integral part of our landscapes. We know now that our technology has had desastreus impact on the natural environment that makes our lives possible and of which we are an integral part. How can we go beyond human centered thought, and develop technology which relates symbiotically to the ecology it would become a part of? Machine Wilderness presents work of four artists who develop robotics. They explore how technology engages the surrounding and chaotic living nature. 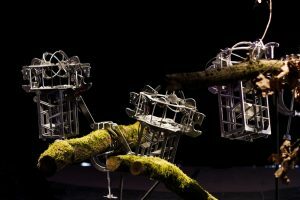 Machine Wilderness is not a static exhibition, but takes the shape of a work in progress in which the artists develop new robotic projects for specific ecosystems in the Amstelpark, and experiment with the interaction between technology and the living creatures in the park. Visitors will be able to see the artists at work in the park at various stages of the development of the work. In discussions and workshops they can reflect on the observations and experiments between machines and nature. Inside het Glazen Huis several existing works are exhibited along with video registrations to give a context tot the program. Newly developed work and documentation will be added over the course of the exhibition, making it worthwhile to visit the exhibition several times. American artist/engineer Ian Ingram considers his robot as a possible intermediary in exploring the relation between human, animal and machine. 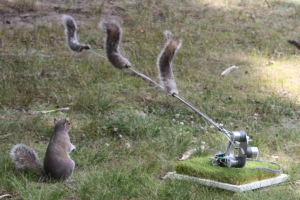 In his recent work he tries to evoke communications between machine and animal through moving objects. These objects signal in ways that are meaningful to specific animals. 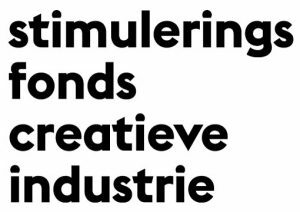 In the Amstelpark Ingram will develop a new work for which he concentrates on the communication between two known inhabitants of the urban environment: the rat and the dove. Ingram will develop a robotic system that translates the ultrasonic vocalisations of brown rats and communicates this information to doves. Here he explores how technology can become a part of ecosystems in the mediated relation between species. During his two-week stay from May 20 to June 3, Ian will be regularly present in the park developing his new robot and observing the interaction between the machine and other creatures while interacting with park visitors. Cameras will be set up, recording what the robot sees, of which the feed is projected in het Glazen Huis. These live video projections will be shown next to older robotic works of Ingram such as The Squirrel and the Nevermore-A-Matic robot. Ian participated early 2016 in a Machine Wilderness residence at Ars Bioarctica in Finland and presented his work during the Machine Wilderness contribution at the Digital Design Weekend in the Victoria & Albert Museum in London. The Amsterdam couple Erwin Driessens and Maria Verstappen together develop a multifaceted oeuvre of software, machines and objects. They attempt at an art that is not entirely determined by the subjective choices of a human being, but instead is generated by autonomously operating processes. An important source of inspiration to this are the self-organising processes in our natural surroundings. From the early nineties on, they have developed computer programs for artificial growth and evolution, alongside experiments with biological and physical processes. Perception, interpretation, planning, execution, these processes are central in their current research of artificial neural networks. Instead of creating an explicit program which describes what to do, these networks are for a large part self learning and self organized. The leading question for his project is: Can an artificial brain dream or fantasise? 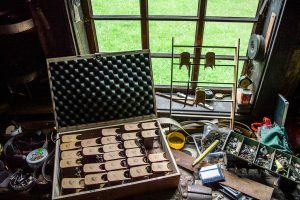 For Machine Wilderness the artists are developing an in-situ experiment for the first time, with a robot which absorbs its environment and responds to it. 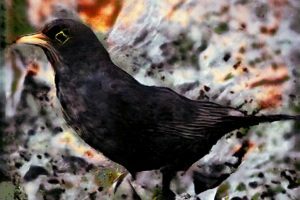 The project Spotter #blackbird consists of a bird spotter with the ability to recognise blackbirds and record them on photo. Inspired by its perceptions the robot starts drawing blackbirds. It also learns how to generate the characteristic songs of the blackbird. The sounds are played outside of het Glazen Huis to lure other blackbirds, which are in turn recorded by the spotter. 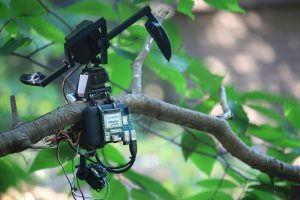 The audience is drawn into the real-time learning processes of the artificial bird spotter to inspire reflection on machine learning and imagination processes. In the course of the exhibition Driessens and Verstappen will be regulary working in het Glazen Huis to continue training their AI. They will present their results on the last day JUly 8 during the Machine Wilderness dialogues. 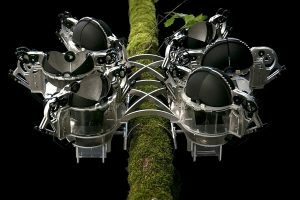 Jip van Leeuwenstein explores future relations between nature and technology by considering how robots can be used to restore the balance in ecosystems. In A Diverse Monoculture a series of robots takes the place of predators in an ecosystem that is out of balance due to human causes. By using Micro Fuel Cells to load up its energy, the robot is able to become part of the food chain. Through chemical reactions these cells transform animal material (insects in this case) into energy. This energy is used to provide the robot with electricity. The current design is focused on the Oak processionary caterpillar. The ecosystem around the Oak processionary caterpillar is out of balance. The constructed Oak lanes in our cities and towns lack low vegetation, causing the absence of natural enemies and allowing the population to increase, resulting in a plague. The Dionaea Mechanica Muscilipa is designed to manage the population of the Oak processionary caterpillar. The predator robot preys on the insect and attracts them with light and the pheromones of captured butterflies. Once trapped in the stomach of the robot predator, the insects are transformed into energy through the Micro Fuel Cells. In the Amstelpark Jip van Leeuwenstein will demonstrate the Dionaea Mechanica Muscilipa and will work on a further development of his robot predators from June 22 onwards. The Latvian artist Rihards Vitols creates works which can learn us how to deal differently with the environment. During his stay in the Amstelpark he will work on a new robot, the Corvoid. His area of exploration concerns the various means by which animals communicate with other species and the abiotic environment. Communicative sounds are created through the passage of air through organs, by rubbing appendages against each other and by hitting objects in the environment. Communications within species might also affect individuals of other species. Corvoid is an artificial flock through which Rihards explores the behaviorial patterns of the communications of crows. The patterns he records through ambisonic (3D) sound recordings are coded and implemented in the Corvoids. These will not resemble birds or emit bird sounds, but the Corvoids will produce sounds by interacting with their environment, as to contribute to its acoustic diversity. The aim is to learn to understand how communications of various animal and plant species influence one another, an area we know little of, but which may be essential to having a good understanding of a balanced ecosystem. The Corvoids and their interaction with the environment as recorded in video, audio and photography will be added to the exhibition as a work in progress. Rihards also shows an older work, Woodpecker. His question was: if bird populations decrease in the near future, could artificial birds replace them to contribute to the restoration of the natural balance of the forest? Vitols developed an artificial Woodpecker which, working on solar energy, chases plant eating insects away while knocking on the tree. 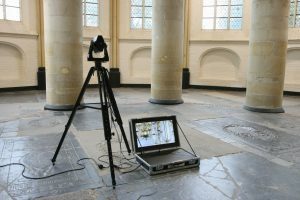 The articifial woodpeckers are presented in het Glazen Huis together with video documentation. And some woodpeckers will be positioned in the trees surrounding the pavillion. Rihards will be seen working in the Amstelpark from May 20 to May 26th.